Please note that Dr. Shobna Nijhawan's lecture scheduled for Tuesday, March 13, 2018 has been canceled. Dr. Nijhawan cannot make the trip due to personal reasons. Join us for a talk by Dr. Shobna Nijhawan, Associate Professor of Hindi at the Department of Languages, Literatures and Linguistics, York University, Toronto. Gender, Genre and Visuality in the Creation of a Literary Canon" centers on the literary activities emerging out of the publishing house Ganga Pustak Mala; in colonial Lucknow in the first half of the twentieth century. Closely associated with Ganga Pustak Mala was the Hindi monthly Sudha (lit. nectar, ambrosia, 1927-1941), a literary, social, political and illustrated periodical, in which Hindi writings in prose and poetry, including Hindi literary criticism, and other activities concerning the Hindi public sphere, such as language politics, social reforms, matters concerning lifestyle, health, arts and sciences, and the political emancipation of women and men were promoted and developed. Shobna Nijhawan is Associate Professor of Hindi at the Department of Languages, Literatures and Linguistics, York University, Toronto. 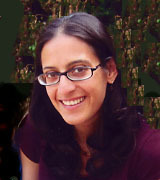 Prof. Nijhawan's research interests focus on Hindi periodicals of the early twentieth century, transnational feminism, Hindi and Urdu writings on nationalism, and Pedagogical and didactical questions surrounding second-language acquisition, especially that of less-commonly-taught languages. She is currently working on Hindi book publishing in twentieth-century colonial North India. She is the author of Women and Girls in the Hindi Public Sphere: Periodical Literature in Colonial North India. New Delhi: Oxford University Press, 2012 and editor of Nationalism in the Vernacular. Hindi, Urdu and the Literature of Indian Freedom. New Delhi: Permanent Black, 2010. Her book Gender, Genre and Visuality in the Creation of a Literary 'Canon'. Hindi Publishing in Colonial Lucknow. New Delhi: Oxford University Press is forthcoming in March/April 2018.